Children and sitting still at a restaurant/cafe are two things which should not appear in the same sentence. We are always on the hunt for kid-friendly places to eat- so that we can relive our child-free days…. Huh? Who are we kidding, eating out will never be the same again! But these family-friendly places in the Macarthur region of Sydney make eating out that little bit more pleasurable. The Macarthur region of Sydney is often forgotten. But it is only an hours drive out of the hustle and bustle of city life and you are met with serenity and lots of kid-friendly spots. A cafe inside an old restored train carriage? Yes! You read right. 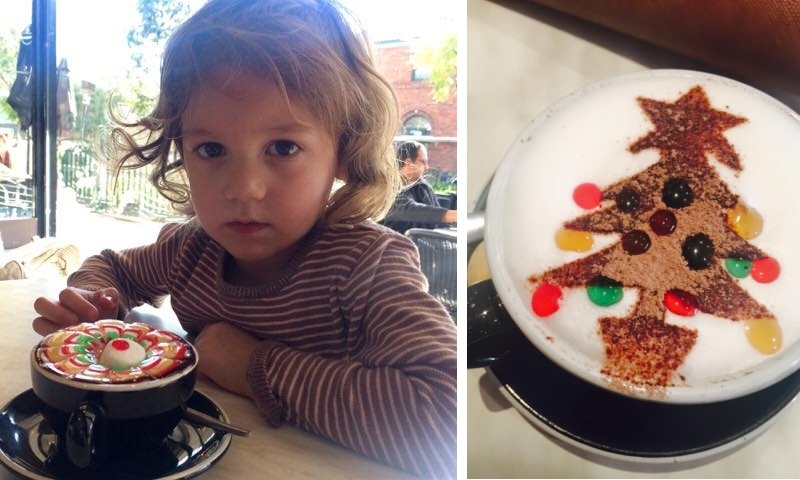 This wonderful, kid friendly cafe is located at Cake Biz, Narellan- 267 Camden Valley Way. What a novelty for the kids and train enthusiasts. Go inside Cake Biz and select from the delicious range of cakes, slices, pies, sausages rolls and coffee, then head on over to the restored train, which is located at the back of the cafe. Pick a booth for your family to sit in and enjoy that quality family time and make memories. Rest assured that this cafe is pram accessible with a ramp located on one side. But just be aware that once inside the train there isn’t much room to move around. Public toilets are available onsite. HOT TIP- They do offer a drive thru section. So if you’re in need of a coffee but your kids have other ideas, get a takeaway. This hidden little gem can be found within Flower Power Garden Centre. Wild Dragonfly Cafe is set amongst the roses – such a tranquil setting. The cafe boosts its own kid's menu which is affordable and delicious. In addition, they post the different childrens activities they are hosting on their Facebook page! But above all the biggest drawcard for me, especially with my 2 over-active boys, is the outside playground. Now whilst it’s not fenced off, there are tables right along the side of it so you can watch the kids and enjoy breakfast or lunch in complete harmony. HOT TIP - sit outside so the kids can run around on the play equipment and you can enjoy a hot cuppa. We were first introduced to The Argyle at a birthday party. This place is a mecca for all things ice cream and lollies. Whilst they have quite a large variety of ice creams, it was their range of lollies that had me blown away. Lolly varieties as far as the eye can see. For the mums and dads though (if ice cream and lollies are not your thing) grab a hot coffee and a sweet treat and relax. HOT TIP- ask about their great birthday party packages. They literally do everything for the party!! The Babycino’s here are worth the visit to the delightful Back Galley Cafe, which offers one of the best brekkies in town. Just down the road, you’ll find Back Galley Split – Step back in time! This American style diner is set in the 1950’s. The food ranges from burgers to curly chilli cheese fries to milkshakes and gelato. The staff at Back Galley Split are so lovely and accommodating. I have first-hand experience of this, as my child grabbed a donation box full of 5 cent pieces and pulled it onto the floor. The staff didn’t bat an eyelid. Both cafes are great for an after-school treat!! I’m a bit biased when it comes to this great old fashioned pub. Camden Valley Inn is my local and I love to tell everyone how great it is here. Only an hours drive South-West of Sydney nestled amongst the razorback mountains lies this quaint little pub. This is the place you bring your kids to and you can have a relaxing meal. There is plenty of space outside for the kids to run around. There is a playground, children’s menu and on Sundays they have a free jumping castle and entertainment for the kids. HOT TIP- book a table in advance. This popular little pub gets booked out fast!! This cafe is relatively new to Macarthur, however it is proving to be popular with the locals. This cafe is located within Ultimate Karting Raceway (however it does have its own entrance). Juicy Goose has a children’s breakfast and lunch menu. They even encourage kids to create their own pizza for $12. The adults are well taken care of here with an extensive menu and alcoholic beverages including beer on tap. They even have a special little spot for kids to colour in while mum and dad enjoy their meal. HOT TIP- After your meal, duck next door to Ultimate Karting raceway and challenge your family and friends to a race. The Macarthur region (Campbelltown/Camden) has so much to offer. Come out here and experience it all.